Sleepaway camp is a big step for many kids as they grow and learn to become more independent. For parents and kids alike, it can be difficult to decide the right time to take the plunge and start attending a residential camp. 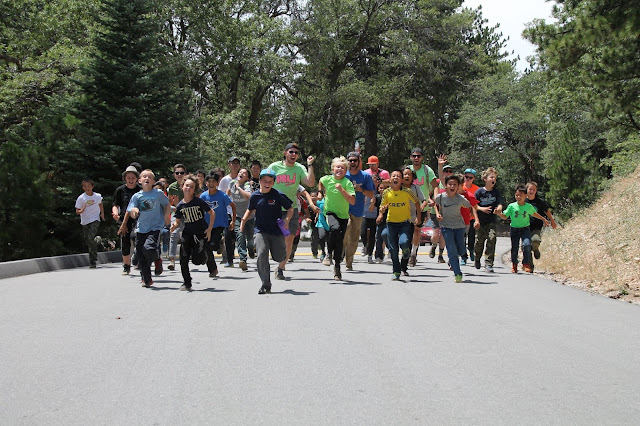 While you may feel apprehensive about sending your child to overnight summer camp for the first time, you might be surprised by the positive transformation you’ll see at the end of the camp session. Not only does overnight camp provide kids with the opportunity to make lifelong friendships and life-changing memories, studies show that overnight camp also improves overall happiness in many children and can help kids learn how to navigate social situations later in life. Many veterans of overnight camps say that during their camp career, they made friends that they still keep in touch with many years later. At sleepaway camp, kids engage in social interaction that they would not otherwise be exposed to. For many, those late-night chats just before lights-out, or cheering on a fellow camper in a new activity or experience are the moments that make overnight camp truly unique. For some kids, overnight camp might be their first chance to sleep away from home, to make decisions independent from their parents, and to navigate a day filled with their own choices. It can be a good first step to establishing self-esteem, self-confidence, and independence. If you’re wondering how to help your child make friends, putting them in an environment that encourages teamwork and trust is essential. At Pali, we offer over 20 different specialties which means that your child will spend time with kids who have similar interests. Sleepaway camp can also help to instill a sense of cooperation, empathy, responsibility, and respect as kids learn to live together and find common ground that unites instead of differences that divide. Many sleepaway camps have a no-cellphone or no-technology policy. Taking time to step away from the screen can help kids practice mindfulness and feel more present. At Pali Adventures, we have a strict no-cellphone policy. Pali Adventures participated in a UCLA study that explored the benefits of unplugging while away at camp. Results of the study showed increased social awareness after only 5 days of being “unplugged”. For many families, the parents have a harder time saying goodbye than the kids. For many campers, overnight camp is an important step in learning to think independently in an environment separate from parents, school, and home friends. Sleepaway camp is a great opportunity to teach kids how to make independent choices and decisions while in a safe and controlled environment. When children arrive back from summer camp they may take a more proactive role in helping out around the house, cooking their meals, or keeping their bedroom clean. Overnight camp can help to nurture a sense of confidence that would otherwise take longer to develop.